The Sault Metal Scene: Din Updates, Sunrise Records' Local Artist Contest, And A New Concert Video!! 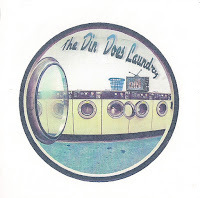 Din Updates, Sunrise Records' Local Artist Contest, And A New Concert Video!! After a slow stretch for news and updates on the SMS over the weekend, we are back with a new news post on this Tuesday morning, and yes, our latest YouTube Channel Profile will follow by tomorrow! Here, we have a new concert video, and details on a new contest that four local bands (and counting?) have jumped in on, but first, here's big updates from a band whose days are numbered, but still have a lot to offer! 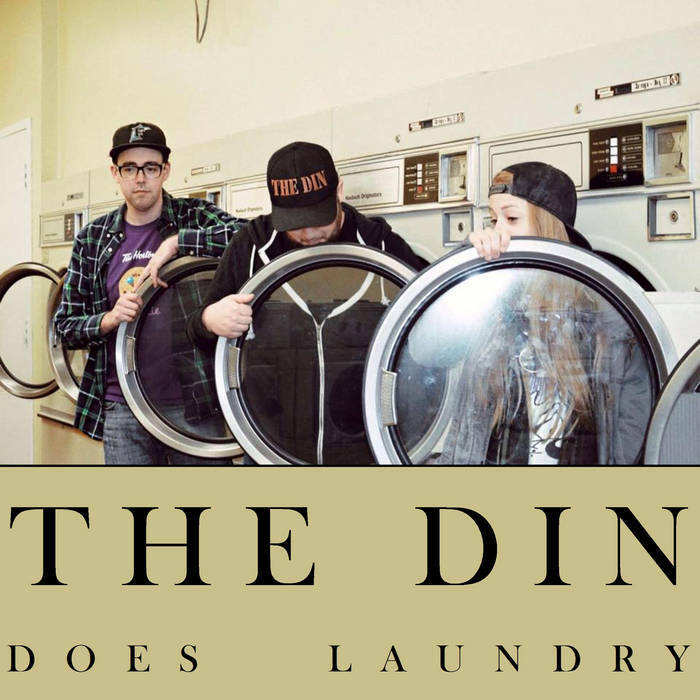 Local alternative/hard rock trio The Din have finally posted their live album "The Din Does Laundry" on Bandcamp... well, most of it! With their planned disbanding now under a month away, their sole paid non-studio CD (recorded at The Gore Street Cafe in March 2016 and released the following month) is now finally available for digital download on their Bandcamp page, complete with exclusive cover artwork in this format, so if you missed the limited physical release last year, here's your (partial) second chance! It's on a "name your price" model, but for reference, CDs cost $3 last year. If you're a purist, you will want to track down the original CD, as the Bandcamp version is noticeably pared down, primarily due to the four covers ("Fragile Bird", "The Old Apartment", "Times Like These", and "With A Little Help From My Friends") being removed for obvious legal reasons. That said, it'd be cool to see them posted as Facebook or YouTube exclusives if possible. Apart from that, there have been more edits to the included songs, most notably the merger of the short introduction tracks "Spin Cycle" & "Leamington, Ontario" into the full songs "A Drive Through The Peninsula" & "75" that followed them, while virtually every remaining song has had minor edits to the start and finish (largely to remove dead air.) Finally, two songs were re-titled, with the closing track now using it's shortened title "Potato", while "We Met As Surrogates" (promoted from unlisted bonus status) now has it's alternate title "We Met At The Circus". So, a 16 track, 64 minute CD was chopped down to a 10 track, 45 minute digital album, but if you didn't/can't get the original copy, this is better than nothing, and a nice surprise as The Din wind down their active run, so stream or download it at the above links! In one more solely-Din related note, they recorded a new "cover of the month"-style video, albeit exclusively for their Facebook page on Friday, and it's their version of Matchbox Twenty's "3 AM". Featuring multiple camera angles of The Din in their jam session locale of similar older clips,this is a solid cover, as fans will have come to expect, but it's not an overly up-tempo or heavy choice of cover. Still, with studio quality audio from Pretoria Hill Productions, this is another nice bonus in The Din's final weeks, so give it a watch below, and don't miss them at The Canadian THIS FRIDAY NIGHT in their third-to-last live concert! Beyond that, voting ends on Halloween, when the ten highest voted bands will enter the "judgement round", where Sunrise representatives will determine the winners, to be announced on November 10th. This sounds like a cool contest that's already attracting lots of local interest, and with a chance to vote for as many bands as you want once each daily, you can help get all four local bands and potential further sign-ups to move up the ranks! Best of luck, and click the above links or visit the appropriate Facebook links for further details on the contest! 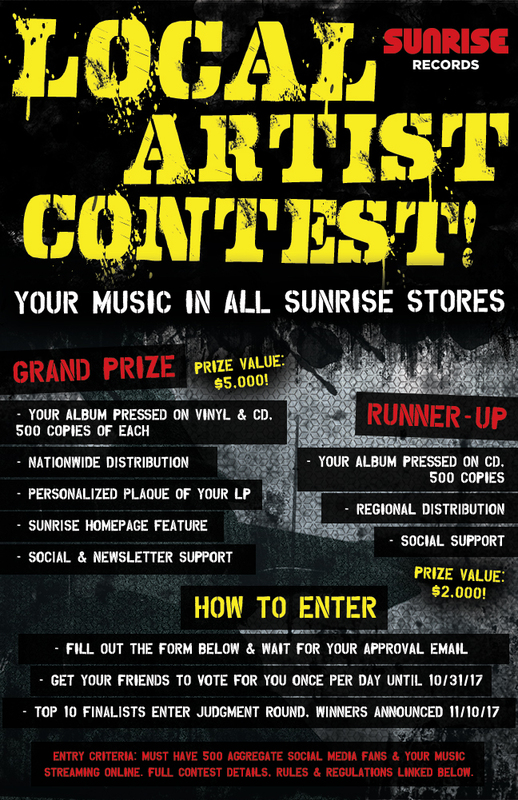 Remember, Sunrise replaced HMV at the Station Mall earlier this year, so stop in to support our newest record store! Finally for today, here's a new Facebook video of Sault Michigan hard rock quartet Project 906, as shared from guitarist Joe Jenkins' personal Facebook page to the band's own Facebook page yesterday! A nearly-complete cover of Queen's "Fat Bottomed Girls", this was filmed at The Strongs Tavern in Eckerman on Saturday night, marking a rarity in both locale and length for their publically available videos. The video's visuals aren't entirely clear (the constantly changing lighting doesn't help), but it's a fine rendition of this Queen classic on a stationary camera, so check it out below, and stay tuned for more on their upcoming dates! That's all for now, but stay tuned for this month's YouTube Channel Profile next, with more news and notes to follow! Thanks everyone!